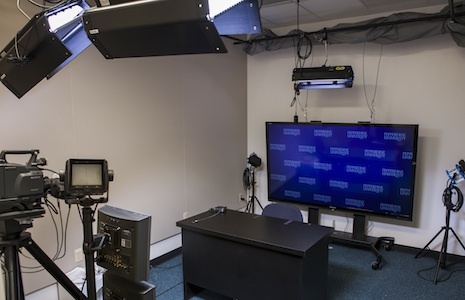 Pepperdine University offers a state-of-the-art digital broadcast studio for media interviews with faculty, administrators, staff and students. The studio is a sound-proof area, approximately 12 feet by 23 feet in dimension, with advanced camera and technological support to enable live or recorded TV and radio interviews. 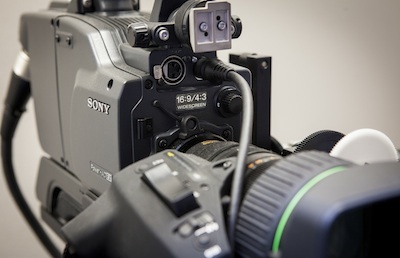 Transmission is via a secured fiber optic line that connects to both local and national media outlets. If you'd like to reserve the studio, contact the University's public relations team at (310) 506-4138. Please try to schedule interviews as far ahead as possible. Normal production hours are Mon-Fri, 8 a.m. - 5 p.m. PST. After hours rates may apply. 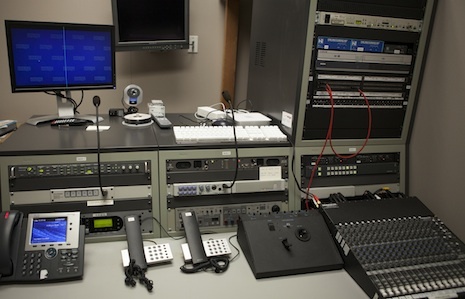 The broadcast studio is located on Pepperdine's Malibu campus, on the 1st floor of the Center for Communication and Business (CCB).